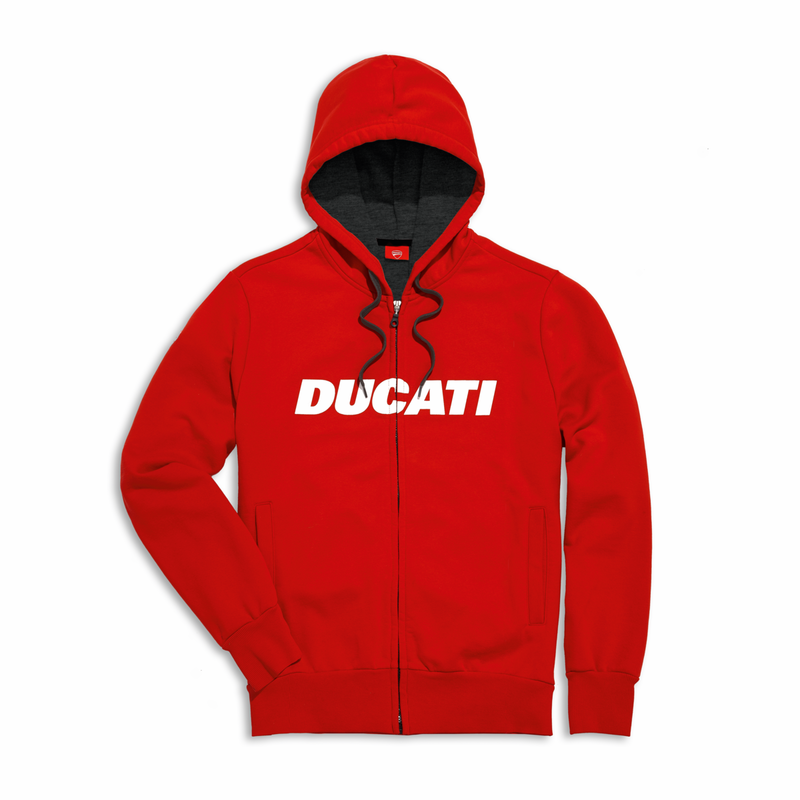 Simple and functional, the Ducatiana is a full zip hooded sweatshirt. Created in a cotton mix, it's designed for all fans of sport and Ducati bikes. 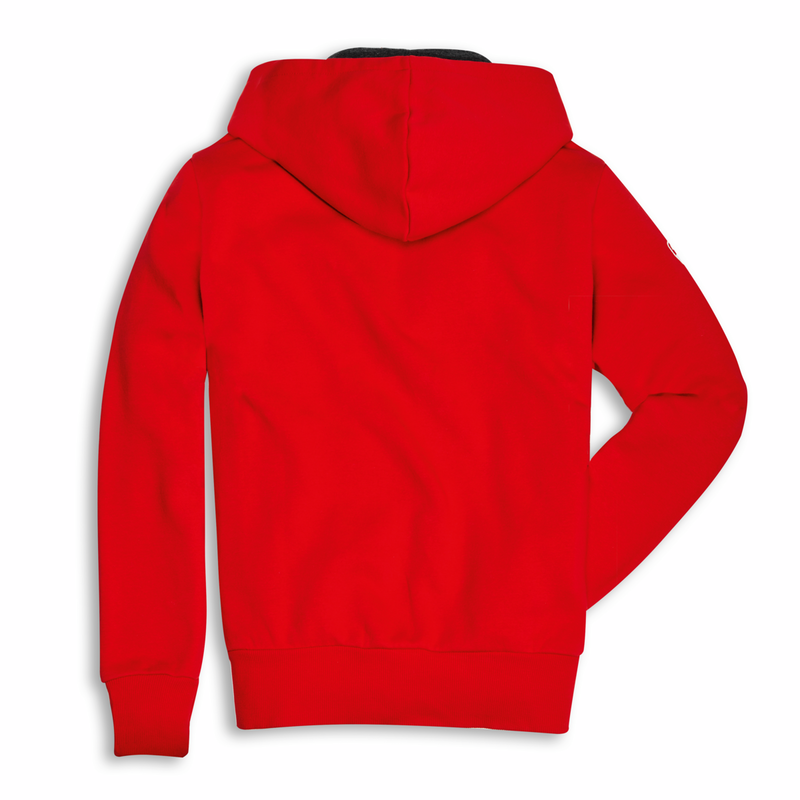 The hood comes with melange grey jersey lining and matching slider, highlighting the careful attention to detail. The front boasts a raised plastisol print of the Ducati logo, while the customised zip-pull and printed shield on the right sleeve clearly recall the brand, making the garment unique.